CHEROKEE COUNTY, AL (WBRC) - Weiss Lake in Cherokee County has crested nearly seven feet above full pool. And that means flooding, even looting and school closings. As of 4 p.m. Monday, the lake had crested at 570.97 feet, some 6.97 feet above full pool at 564 feet. 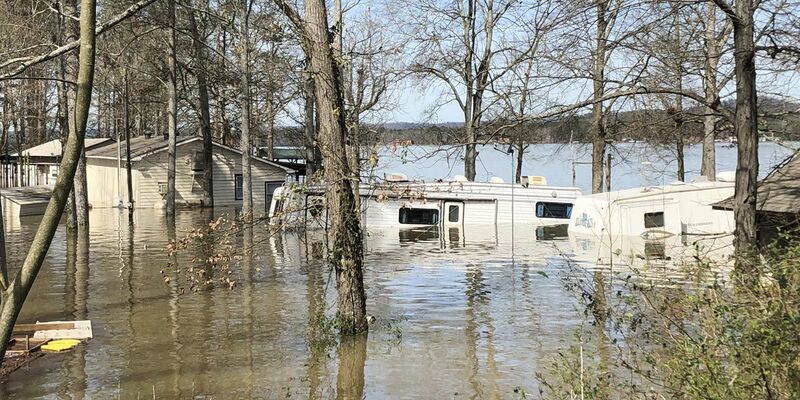 "The lake reached a historic flood level, the lake has not been this flooded since 1977," said Joey Weaver, Cherokee County EMA public information officer. Weaver says the National Weather Service and Alabama Power are expecting a crest at 572 feet Tuesday. "Most, if not all of the campgrounds along the lake, are completely underwater," Weaver added. "It's just devastating. We really feel for the folks in this area. We don't normally see disasters like this in our area...folks retire, they come and they spend their life savings here, and a lot of folks have lost everything they've got." 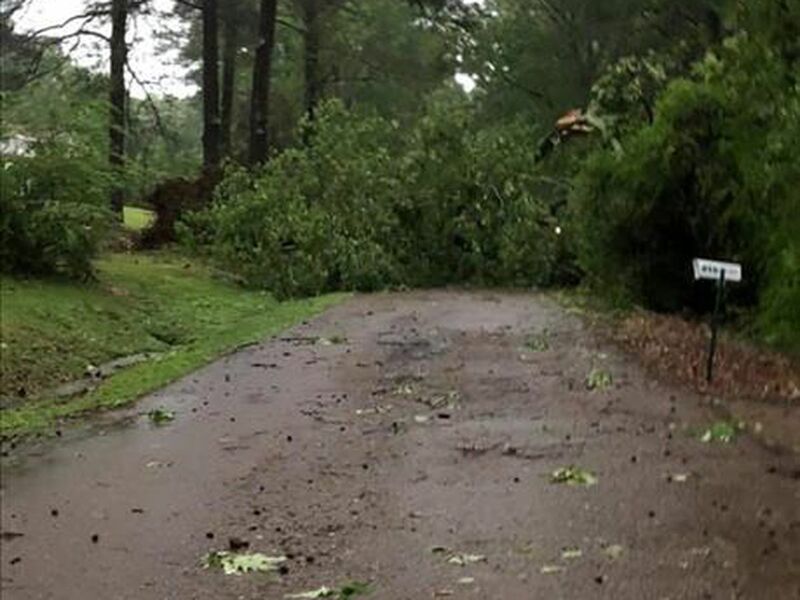 Cedar Bluff Mayor Tammy Crane has imposed a curfew in the city, following reports of looting. The curfew will be in effect from 9 p.m. to 6 a.m. until further notice. Weaver says four people were arrested for looting at the Three Mile Campground Saturday. A flood shelter has been set up at the Cherokee County Health and Rehab Activity Building on Dean Buttram Drive in Centre, for anyone displace by flood waters. Hot meals, cots and showers are available. Crane says the city park rest rooms will be open 24 hours as well. 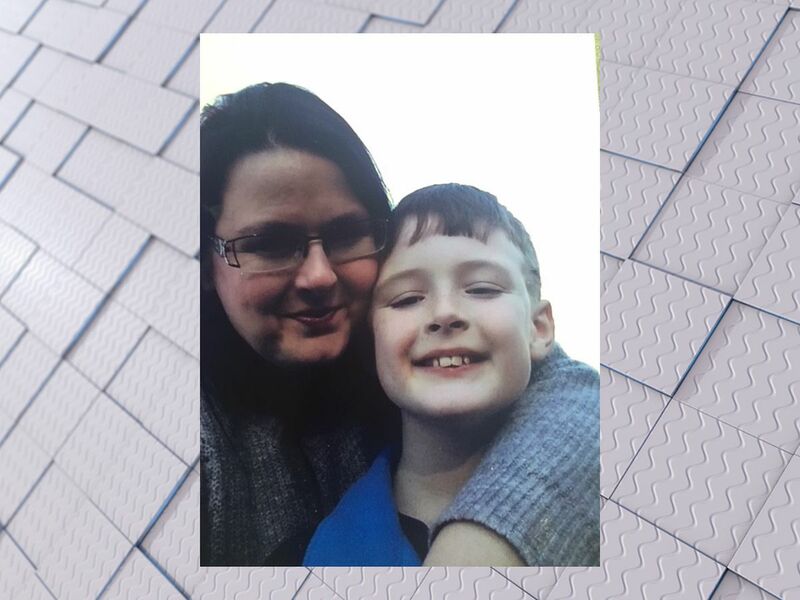 Weaver says the Cherokee County Board of Education has cancelled school through Thursday, and will re-evaluate on Thursday, due to flooding closing so many roads. Lokey St. from White Street to Mackey Dr.
Deere Run from 411 to Keener Dr.